Rojo has never fully cemented a starting position in the United squad as he started out as a left back in the days of Van Gaal before he was converted to a centre back by Jose Mourinho. Although a favourite of Mourinho due to his aggressive defending style, Rojo has had limited playing time due to injuries. It is believed that Wolves have submitted a bid of £25 million for the 26-year-old defender. United, according to the mirror, are willing to sanction his sale to the Molineux based outfit to lessen the wage burden for top target Harry Maguire who has emerged as a transfer target for the Old Trafford outfit in the past week, with sources claiming that an official bid has been placed for the 25-year-old defender. 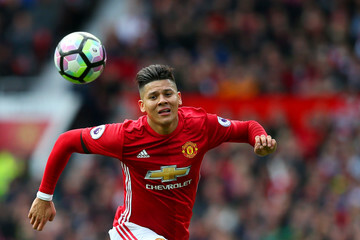 Rojo, who currently earns a reported £160,000 a week, would reduce the wage bill which can be used to bring in Maguire to the club. Wolves have been big spenders in the transfer window and have identified Rojo as an ideal fit as they seek to retain top-flight status this season. He would join former teammates Joao Moutinho and Rui Patricio as part of the new wave of singings at the Molineux if the transfer goes through.